Paloma has always mucked about with Pijon. They run wild. They dress up like tigers, flamenco dancers, queens, kings, rabbits and Lady Gaga. Life is fun and funny and a little bit loopy. 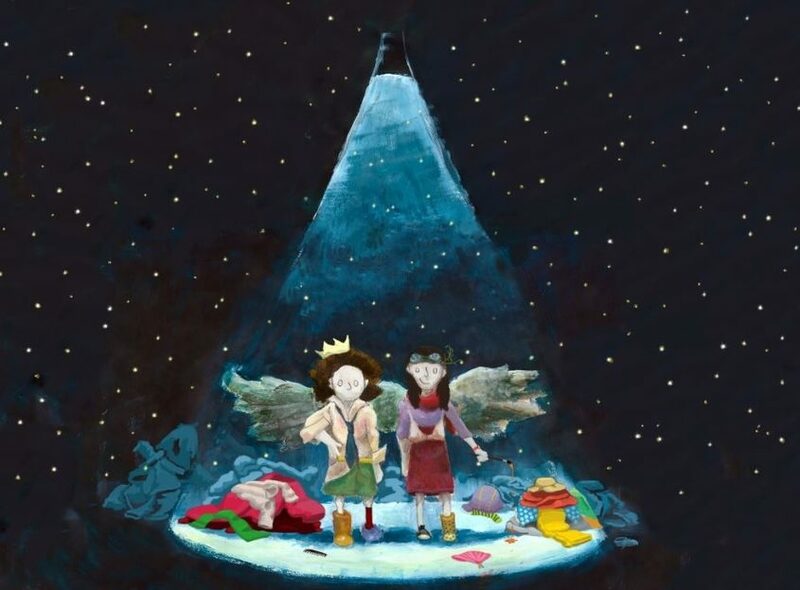 Until, all of a sudden, Paloma comes face to face with a blinding light named Big Luce, and Paloma and Pijon are catapulted into a strange new world.